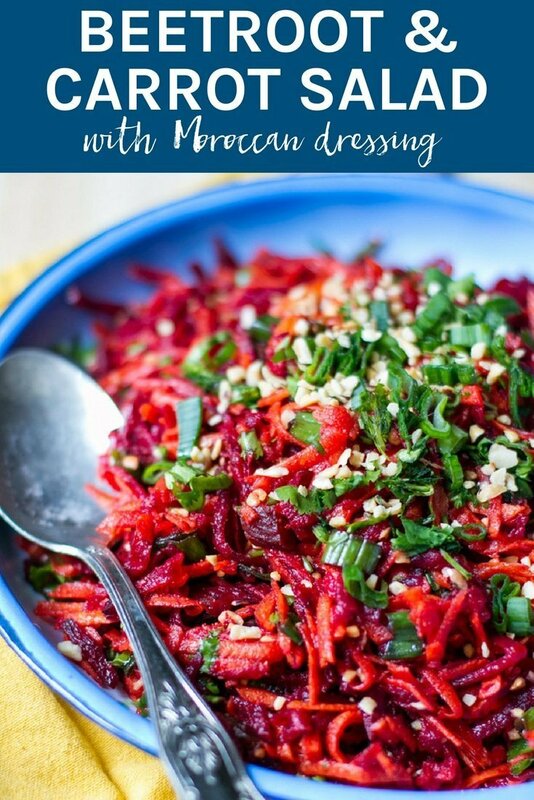 This Beetroot & Carrot Salad with Moroccan Dressing is packed full of healthy and delicious ingredients, which you can enjoy as a stand alone meal or serve it to your guests at your next dinner party. It is an impressive dish! You can never get bored of them as there are so many different recipes out there to suit your taste buds, food preferences and dietary issues. Take this gorgeous Beetroot & Carrot Salad with Moroccan Dressing by Irena Macri from Eat Drink Paleo for example. It is packed full of healthy and delicious ingredients, which you can enjoy as a stand alone meal or serve it to your guests at your next dinner party. It is an impressive dish! In fact, it is one of 45+ BRAND NEW recipes that you will find in Irena Macri’s (aka Eat Drink Paleo) new ebook SALAD A DAY! I have been a big fan of Irena’s for years now. I first discovered Eat Drink Paleo when I was studying Nutritional Medicine and her recipes have been a big part of my health journey. SALAD A DAY has over 45 salad recipes that you can enjoy as a complete meal. There are vegetarian & plant-based salads included, as well as tips and modifications, American & Australian/British measurements and a gorgeous photo for each recipe. In addition to the recipe ebook, you will also receive a 30 day SALAD A DAY challenge and a calendar template to help plan your salad meals for each day. CLICK HERE To find out more about SALAD A DAY! This Beetroot & Carrot Salad with Moroccan Dressing is packed full of healthy and delicious ingredients, which you can enjoy as a stand alone meal or serve it to your guests at your next dinner party. Place the chopped apricots in a large mixing bowl and pour over the lemon and orange juice. Add the carrots and beetroot and sprinkle with garlic, spices, salt, nuts and coriander. Combine well until all ingredients are mixed through. Serve with extra coriander, green onion and nuts over top.